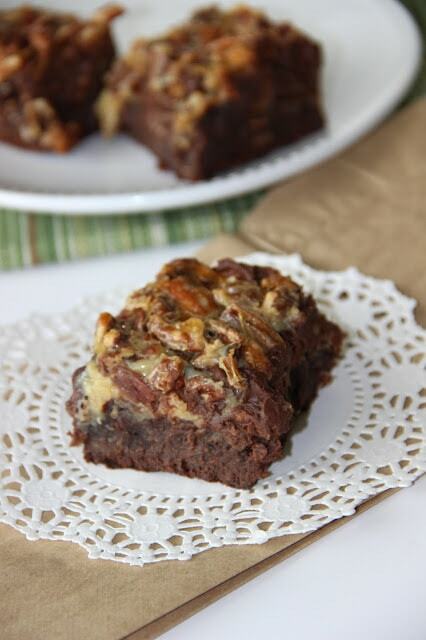 Rich and gooey blondies filled with pecans will make even a chocolate-lover beg for them! I am excited to share this recipe with you guys today. It is a favorite in our family. 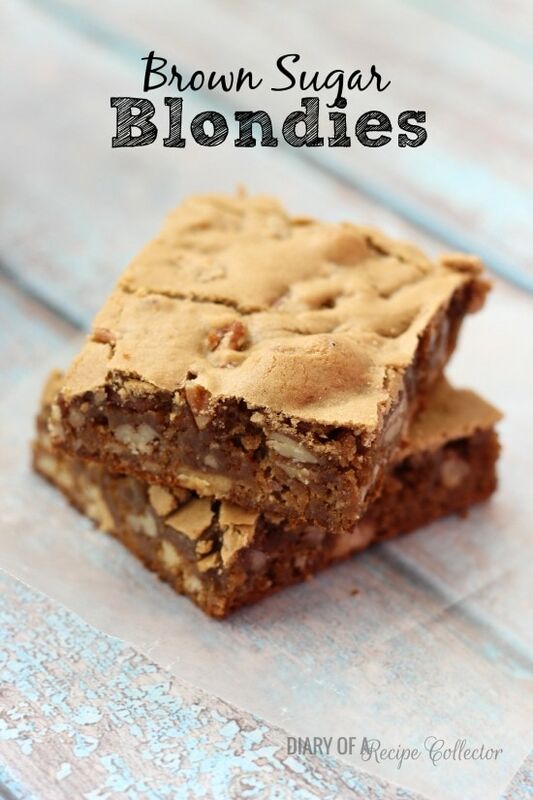 They are actually what we refer to as “Patrick’s Blonde Brownies.” Patrick is my brother-in-law, who by the way is such a great guy, and these are his favorite. My sister makes them for him all the time. I made them the other day for a school fundraiser. I packaged them up in some clear bags, and I sealed them closed with a little label I made. It was definitely one of the easiest treats I’ve made for the school yet! No matter which piece you prefer, a crunchy edge or a gooey center, they are all just wonderful. You will have trouble eating only one. Make sure you have milk too because you will surely need a tall glass to serve with these babies! In a large bowl, beat butter and sugar until well combined. Add in flour, baking powder, and salt mixing well. Add vanilla and pecans and mix again. Spread into a 13 x 9 baking dish or pan. Bake at 350 for 30-40 minutes. Top will be slightly cracked. We usually slightly under bake them. Thank you Jaren – nice cookie recipes. Who wouldn’t love the crunchy edge and gooey center-yum! I think I will need a BIG glass of milk to go with these! Ooh, Jaren, I’m all about the gooey center. 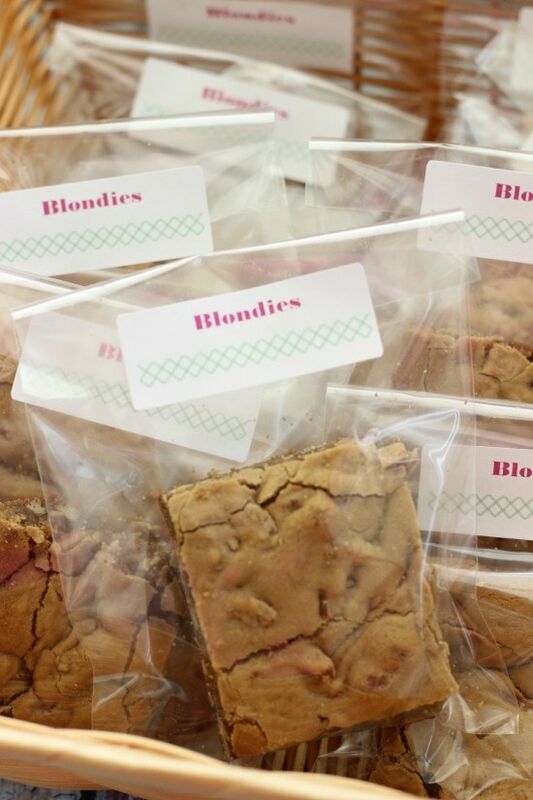 These blondies look delish! Start pouring me a big glass of milk. I’ll be right over! Thanks Sara! That would be perfect! How many cups of brown sugar? Hi Linda! I usually just buy a 1 lb. box of brown sugar when making these. I think the box has about 2 1/4 cups of PACKED brown sugar. Thanks for visiting!! Jaren these sound amazing! And as far as brown sugar is concerned, the more the merrier I say! 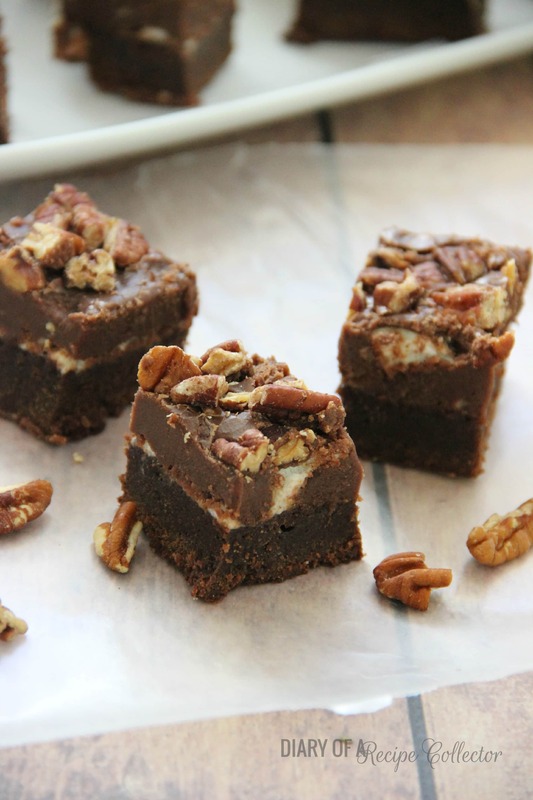 I’m definitely making these! I totally agree! 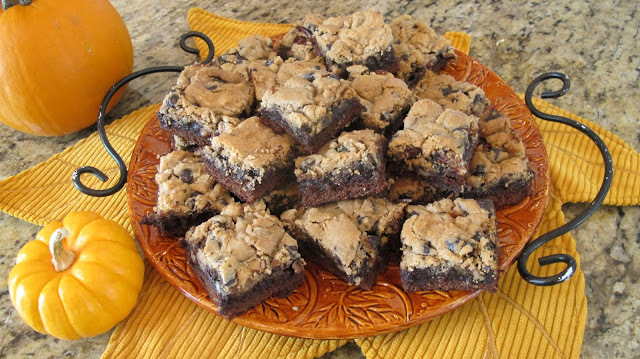 Brown sugar just makes things some chewy and yummy! That top is PERFECT. 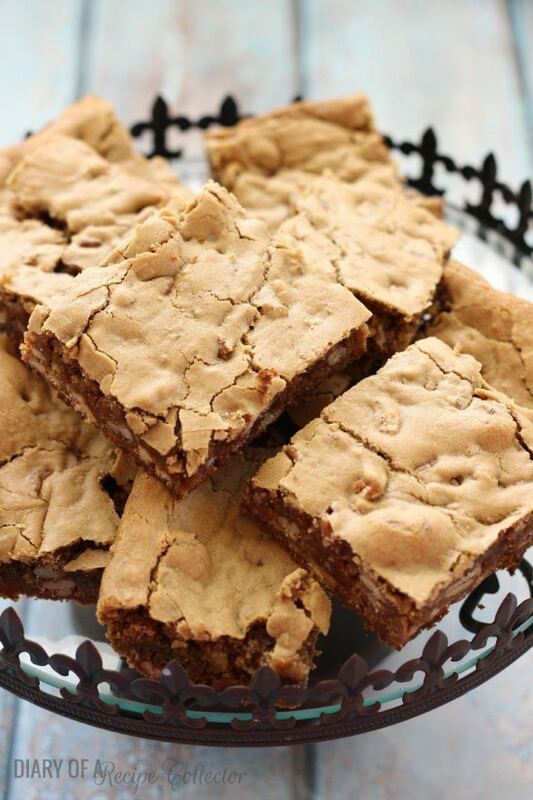 Brown sugar in blondies is the best. Pinned!